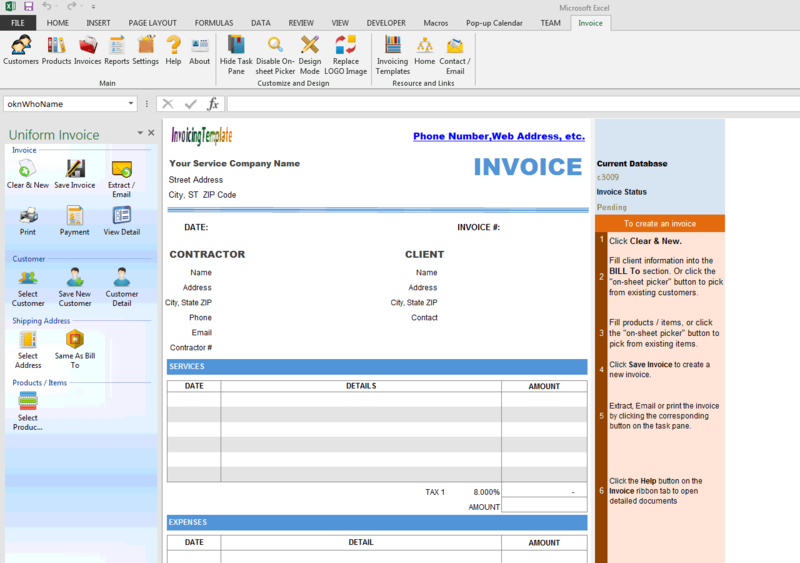 c3009 now includes the customized invoice template for the latest version of Invoice Manager for Excel. 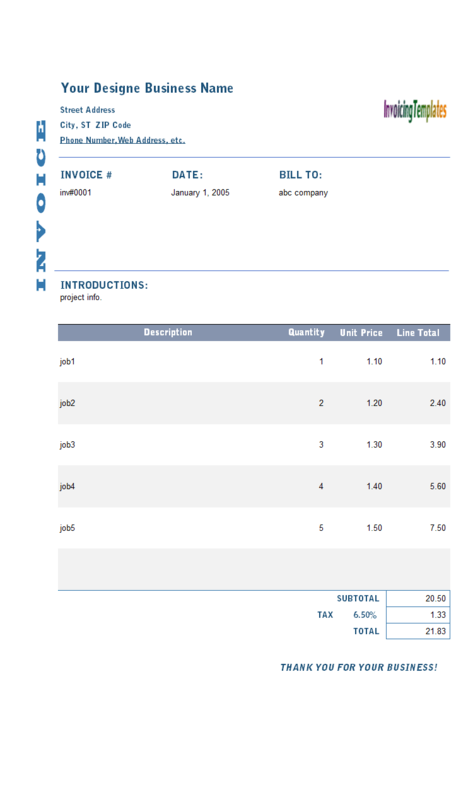 This is what you will see when you open contractorbilling.xlsx. 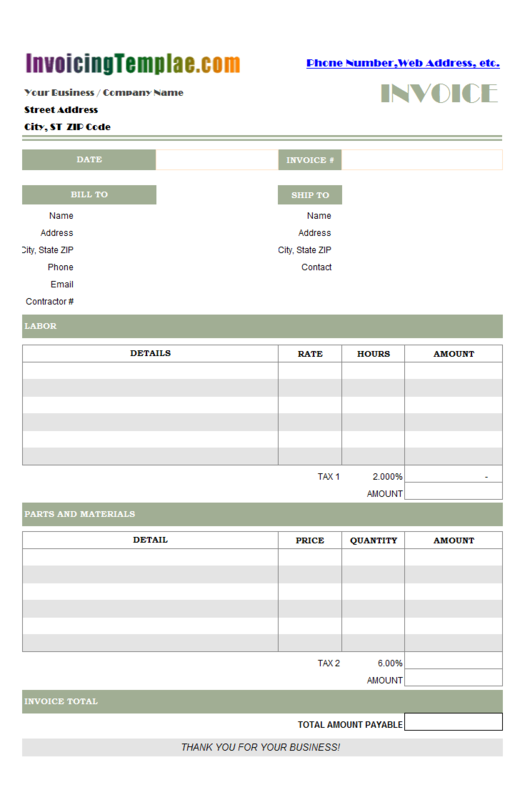 Take a look at the screenshot of this invoice template, you'll easily find the differences between this template and other templates available here on InvoicingTemplate.com. 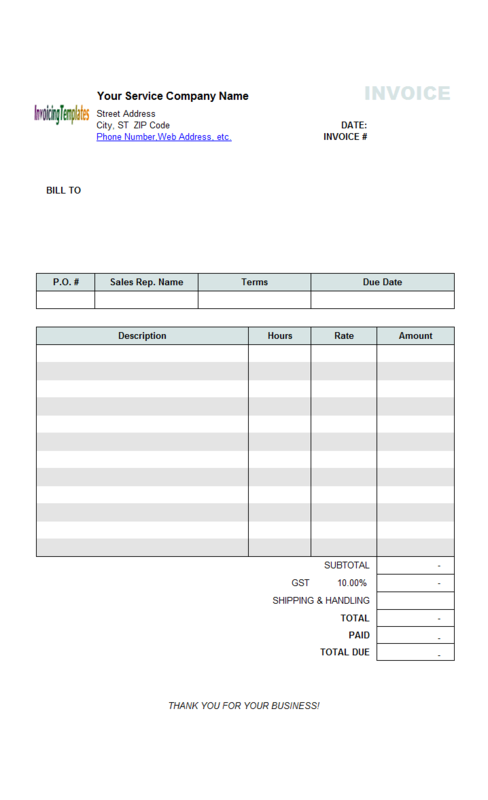 There are 18 lines on the detail section, but these lines are grouped into two sections - the "Services" section and the "Expenses" section, with each section identified by a blue title bar. 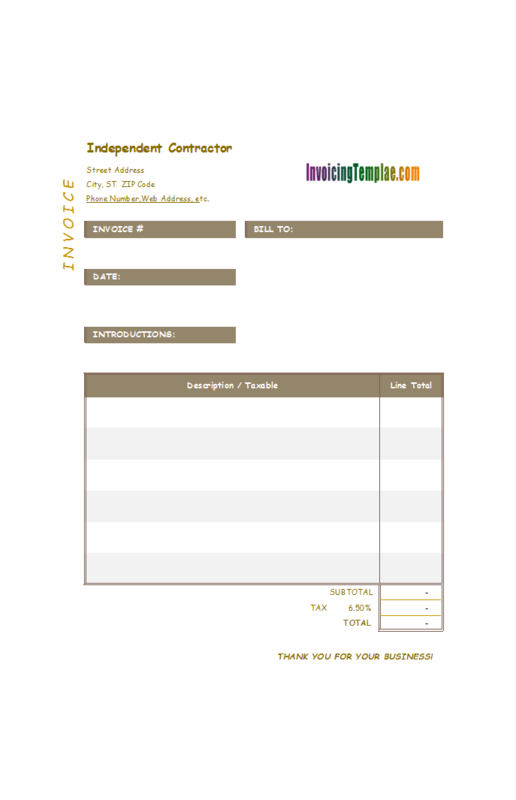 You can use 6 lines on each section to itemize the service and expense. 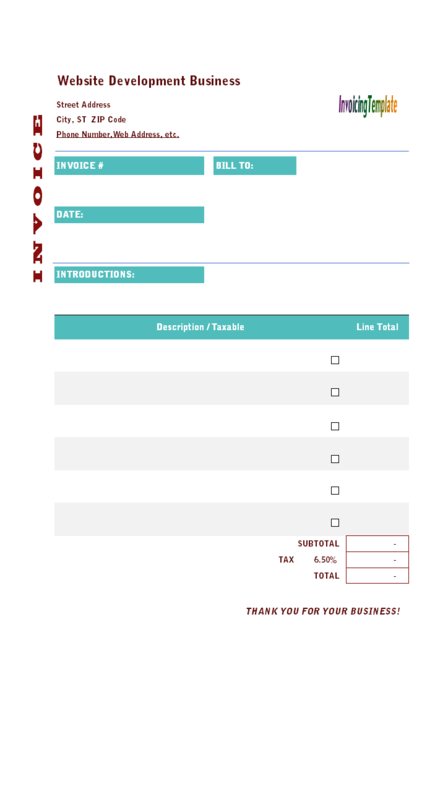 The other lines are reserved for taxes and amounts. 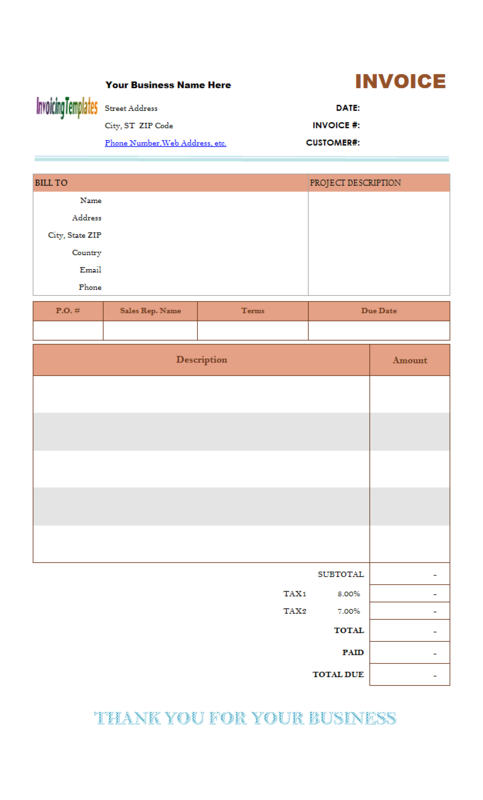 To make this template work with Invoice Manager for Excel (namely Uniform Invoice Software), Contractor Billing Format adopts tricks. 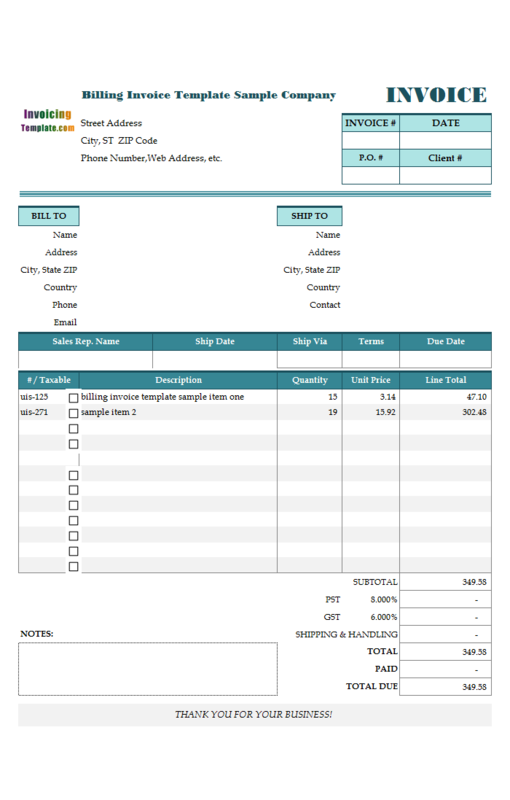 First, the most left column on the visible (and printable) area was a custom field "ItemLine", which was continuously named from "oknItemLine_1" to "oknItemLine_18", to tell Invoice Manager for Excel (namely Uniform Invoice Software) that there are 18 lines on the invoice detail section. 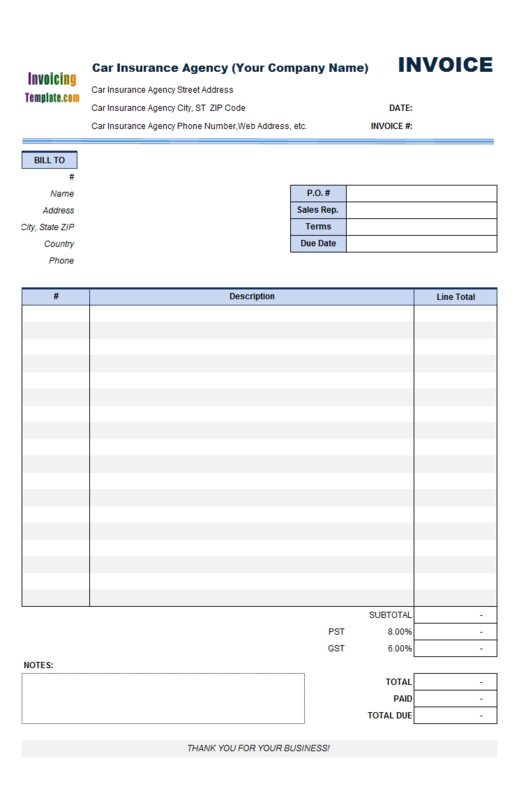 The other columns, such as "DATE", "DETAILS" and "AMOUNT", has an interruption in their name serials. For example, "oknItemDate_1" to "oknItemDate_6" are put onto same column, "oknItemDate_7" to "oknItemDate_12" are put onto another column outside the printable area, and "oknItemDate_13" to "oknItemDate_18" are put onto the same column as "oknItemDate_1" to "oknItemDate_6". 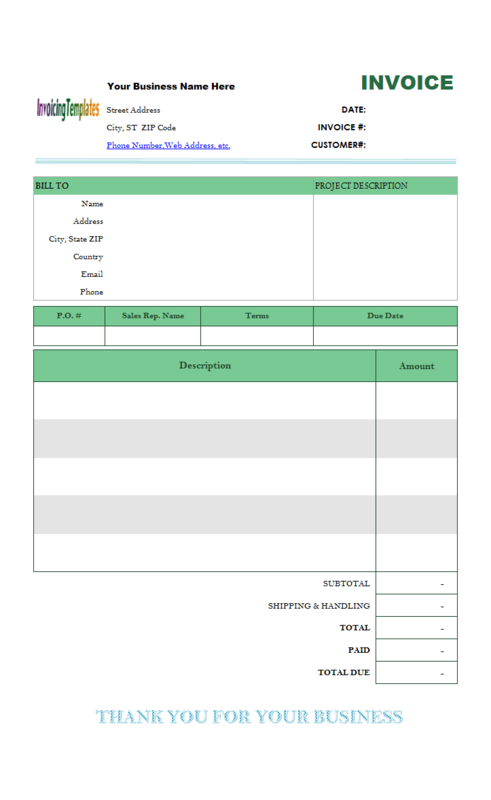 This is necessary because the space for "oknItemDate_7" to "oknItemDate_12" is used by the tax and amount cells. 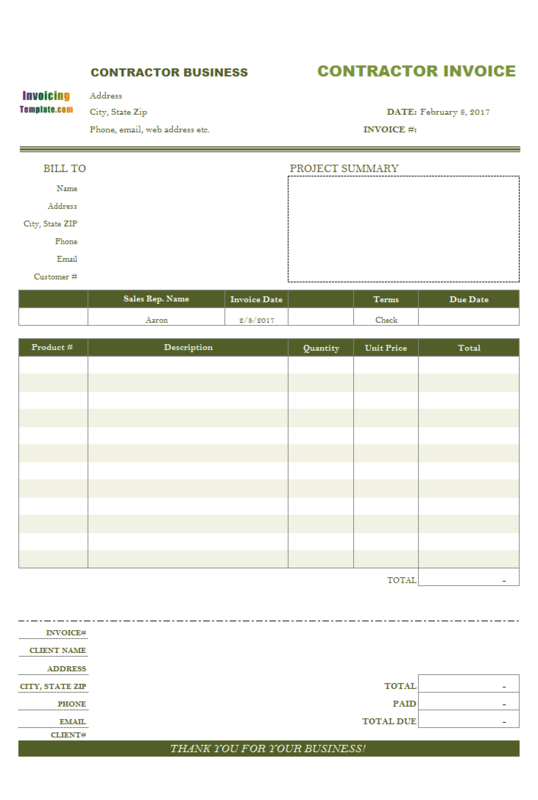 The two custom fields added to this template, "Service Amount" and "Expense Amount", calculate the sum amount of each section. These two fields are also added to the "Sales Report", with the name "oknRsServiceAmount" and "oknRsExpenseAmount". 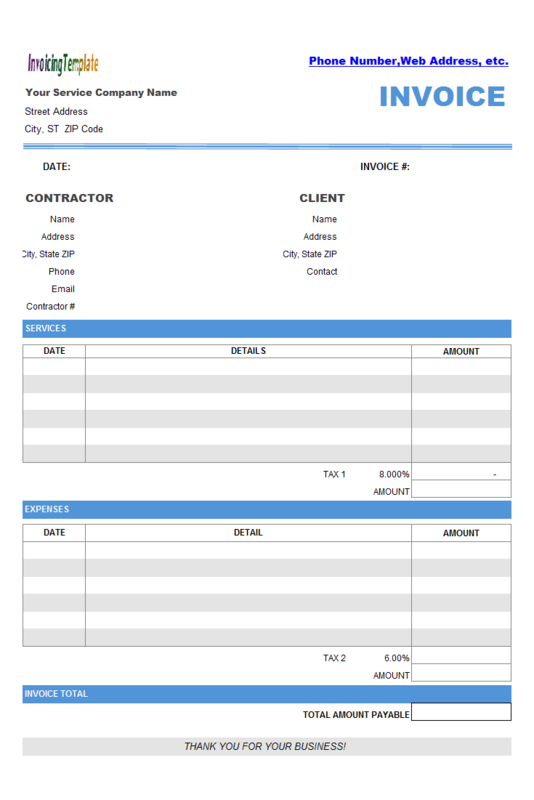 While there are many invoicing software apps that are able to handle simple and regular invoicing forms, Invoice Manager for Excel (namely Uniform Invoice Software) is designed with flexibility in mind. 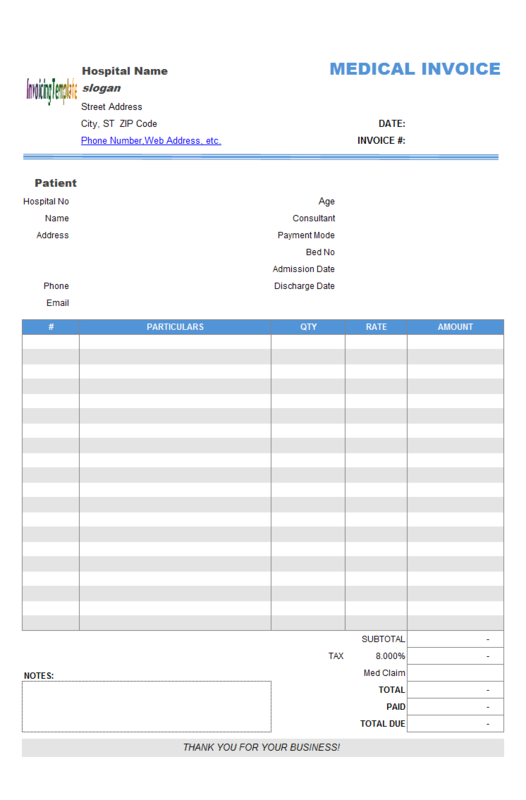 This, with the help of Microsoft Excel, especially its formulas that allows us to define the relationship between cells (for example, how one cell is calculated from the value of the other cells), makes it possible for Invoice Manager for Excel (namely Uniform Invoice Software) to handle complex invoicing forms and layouts. 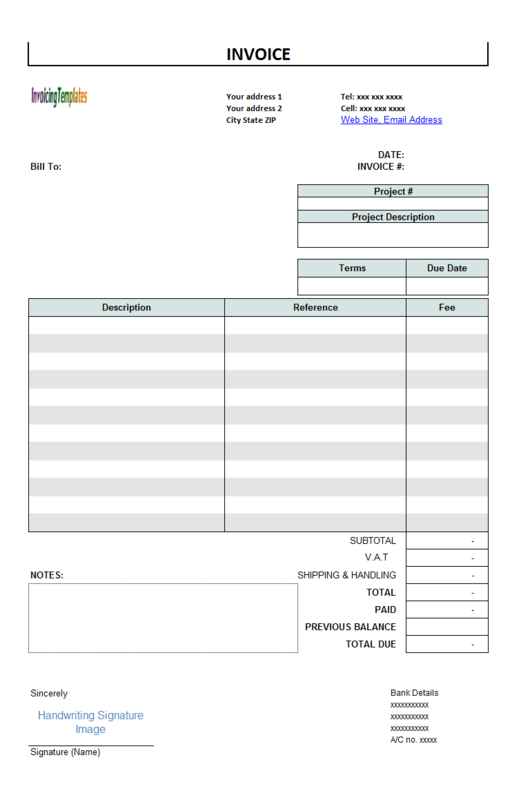 You may be still invoicing in the traditional paper way because there is no invoicing software app is able to handle the complex formats you need. 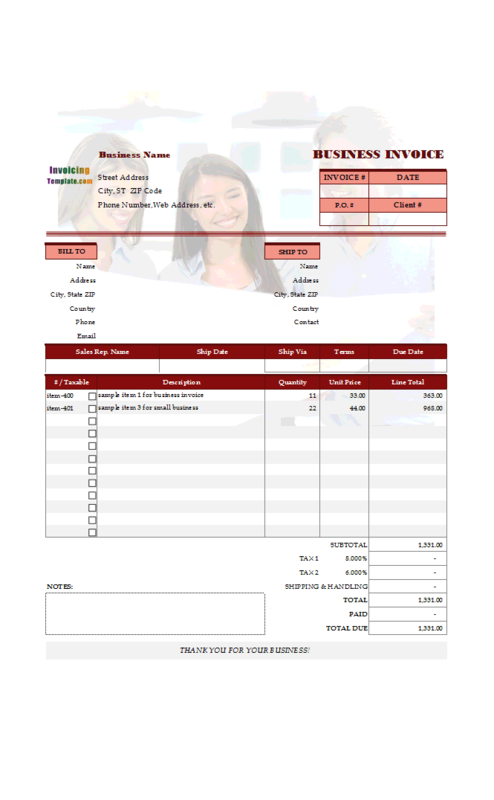 Invoice Manager for Excel (namely Uniform Invoice Software) helps you turn to electronical invoicing with easy and quick. 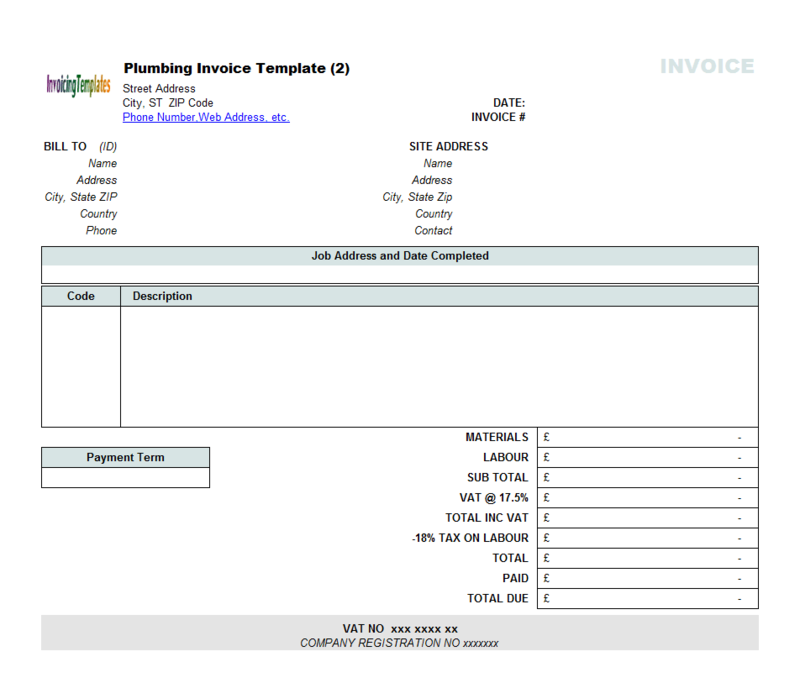 Like other form designs here on InvoicingTemplate.com, Contractor Invoicing Layout is free (offered to you at a price of 0.00USD). It works on Windows XP and all newer versions of Windows, and Excel 2007, 2010, 2013 or 2016.